Someday we’ll finally get a hugely successful movie based on a video game, but 2016’s Warcraft won’t be that breakthrough – especially not in the US. American audiences largely shunned the film, as it made a terrible $47 million domestically. 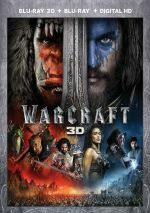 However, Warcraft enjoyed much better returns overseas, as it brought in a respectable worldwide total of $433 million. With a massive $160 million budget, I don’t know if the movie will turn a profit, but at least those non-US receipts allow it to avoid “flop” territory. Like most Americans, I skipped Warcraft theatrically, but I figured I’d give it a look at home. We visit the orc homeworld of Draenor and find it in a perilous state, as magical forces work to destroy it. Rather than face their doom, the orcs aspire to survive. 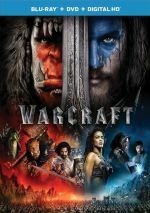 Led by warlock Gul'dan (Daniel Wu), the orcs open a portal to Azeroth, a human homeworld that they plan to colonize. The orcs invade and the humans battle them. That’s a simplification of matters, of course, mainly because I omit mention of most characters and genre-specific situations. A thorough overview of all that Warcraft entails reads as virtual gibberish to the uninitiated, so I think a general summary makes more sense. That’s especially true because beyond its exotic trappings, there’s nothing to Warcraft that audiences haven’t already seen. It doesn’t take a genius to figure out that eventually the orcs and humans will unite to fight a common enemy, and Warcraft fails to bring anything new to this age-old narrative. When I saw trailers for Warcraft, I thought it looked pretty awful. Honestly, the ads made the movie look almost like a parody of the “sword and sorcery” genre, so I can understand why US audiences avoided it. Going into Warcraft, one factor gave me hope it might actually be pretty good: the presence of Duncan Jones behind the camera. Jones’s 2009 debut Moon offered a satisfying sci-fi drama, and while 2011’s Source Code worked less well, it still had its moments and mostly entertained. Jones’ first two movies essentially lacked a lot of pressure on the director, though. Moon came with a miniscule $5 million budget and no expectations of mainstream success. At $32 million, Source Code was more expensive, but it still wasn’t regarded as a “major release” from which the studio anticipated huge box office business. With the aforementioned $160 million budget and a prominent “tentpole” summer release date, though, Warcraft placed Jones in a position where a lot of economic expectations would fall on him. I suspect Jones probably enjoyed a lot less autonomy here than he had for his first two films, as expensive studio blockbusters from semi-unproven directors tend to suffer from outside interference. My screening of Warcraft reinforces this notion, as the blandness of the movie forces me to believe that Jones lacked the ability to tell the story he wanted. There’s no sign of distinctiveness or personality in Warcraft, a movie that comes with a generic tale told in a plodding, uninspiring manner. The whole thing smacks of “Filmmaking By Committee” and not the vision of any one artist. This all falls into the realm of conjecture, of course. For all I know, maybe Jones enjoyed total creative freedom and he made Warcraft exactly the film he desired to construct. Given my experiences with his first two flicks, though, I can’t imagine that. Moon and Source Code demonstrated flair and personality, two traits completely absent from the predictable, bland Warcraft. Honestly, Warcraft seems so anonymous that I can’t even criticize it in a strong manner. The movie seems utterly competent, as it comes with good production values and whatnot, so it fails to prompt any negative passion in me. However, the absence of emotion involved here becomes arguably the movie’s biggest flaw. Warcraft does little to inspire, amuse, excite or entertain. It creates a bland tale without any form of flair or creativity. This becomes “paint by numbers” filmmaking that never threatens to come to life. Warcraft appears in an aspect ratio of approximately 2.40:1 on this Blu-Ray Disc. This became a strong presentation. Overall definition looked positive. A few effects shots came across as slightly soft, a factor I thought may have reflected an attempt to make CG characters look more “organic”, but those remained minor and the vast majority of the flick seemed concise. No issues with jaggies or shimmering occurred, and I saw no edge haloes or print flaws. When I examined the film’s palette, I saw some of the standard teal, but Warcraft came with more green and amber than usual. These tones looked fine, as the image brought them out in an appropriate manner. Blacks were dark and deep, and low-light shots displayed nice delineation. The movie offered the expected high-quality visual presentation. Warcraft came with a solid Dolby Atmos soundtrack. Downconverted to Dolby TrueHD 7.1 on my system, the mix opened up the movie’s many action scenes in a lively manner. Various battle elements swarmed around the room and created a compelling, involving sense of the action. Audio quality seemed strong. Effects appeared full and dynamic, with positive low-end response. Music was bold and rich, while speech seemed natural and concise. The soundtrack added zest to the film. As we shift to extras, we find a collection of featurettes called The World of Warcraft On Film. Its six segments take up a total of 33 minutes, 50 seconds. We get notes from co-writer/director Duncan Jones, co-producers Chris Metzen, John Jashni, Thomas Tull, Charles Roven, Rob Pardo, Stuart Fenegan and Nick Carpenter, executive producer Michael Morhaime, visual effects supervisors Jeff White, Jason Smith and Bill Westenhofer, animation supervisor Hal Hickel, production designer Gavin Bocquet, lead artist Damian Steel, costume designer Mayes C.Rubeo, 2nd unit director/stunt coordinator Tom Struthers, fight coordinator John Street, and actors Travis Fimmel, Ben Foster, Ben Schnetzer, Dominic Cooper, Paula Patton, Ruth Negga, Rob Kazinsky, Toby Kebbell, Daniel Wu, Burkely Duffield, and Glenn Ennis. 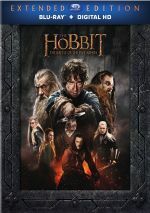 The featurettes look at the video games and their adaptation for the screen, story/character areas, cast and performances, visual design, various effects, costumes, motion capture, stunts and action. Overall, “World” offers a reasonably good overview of the production. It doesn’t come with tons of depth but it touches on appropriate issues in an efficient manner. Three separate featurettes follow. The Fandom of Warcraft goes for six minutes, 36 seconds and offers statements from Jones, Metzen, Schnetzer, Tull, Kazinsky, Morhaime, Foster, Roven, Hickel, Jashni, Cooper, comedian Chris Hardwicke, actors Clancy Brown and Michael Adamthwaite, and various convention attendees. Basically we hear how awesome Warcraft fans are. It’s completely forgettable. During the seven-minute, 32-second Madame Tussauds Experience, we hear from Jones, Kebbell, Patton, Fimmel, Madame Tussauds’ creative director Eddie Saul, senior sculptor Victoria Beaton, costume designers Katie May-Boyd and Louise Budryk, and senior hair/color stylist Amanda Truman. “Experience” looks at the Warcraft exhibit at Madame Tussauds. Some of the glimpses of the wax figure-making process seems interesting, but this is mostly a promo piece. Finally, ILM: Behind the Magic of Warcraft lasts two minutes, 59 seconds and features a before/after look at visual effects. We get no narration but we see some scenes at various stages of effects completion. It’s too short to be meaningful but it adds some decent glimpses. 11 Deleted/Extended Scenes fill a total of 13 minutes, 57 seconds. As one can tell from the running time, these clips tend to be fairly brief. We get some minor exposition and a few added character beats but nothing significant shows up here. Called Warcraft: Bonds of Brotherhood, we locate a motion comic. It runs 53 minutes, 47 seconds and essentially offers a prequel to the movie. That makes it a fun and useful addition to the package. A Gag Reel goes for three minutes, 25 seconds and mostly provides the usual goofs and giggles. The presence of some motion capture outtakes makes it more interesting than usual, though. The disc opens with ads for Dragonheart 4, The Free State of Jones, Neighbors 2 and the Universal Studios theme park. We also get a 2013 Warcraft teaser but no standard trailer for the film. A second disc provides a DVD copy of Warcraft. It includes the deleted/extended scenes, the gag reel, one of the “On Film” featurettes, “Fandom” and “ILM”. Generic and uninspiring, Warcraft feels more like product than anything else. The movie comes with a bland story, anonymous characters and virtually no excitement. The Blu-ray offers very good picture and audio as well as a decent set of supplements. Hopefully Duncan Jones will bounce back with his next movie, but Warcraft is completely forgettable.